After increasing in the third quarter, prices have pulled back 7 percent since the beginning of the year’s fourth quarter. Tin has been on a downtrend since the beginning of the fourth quarter, with weaker demand from top-consumer China putting pressure on prices. On Wednesday (November 15), tin prices closed down 0.7 percent, at $19,340 per tonne, the lowest level in five months. After increasing in the last quarter, prices have pulled back 7 percent since October 1, and are down almost 9 percent year-to-date. According to FocusEconomics analysts, the slip in prices is likely demand-related, as the need for refined tin is expected to slow down in the last few months of the year due to lower solder demand in China. That said, the analysts expect tin usage in chemicals and tinplate from the Asian country, which accounts for nearly half of the world’s tin consumption, to pick up going forward. 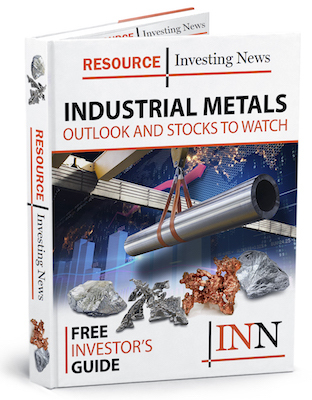 “Tin could also become a more sought after metal if demand from the electric vehicle (EV) industry grows,” they said in FocusEconomics’ latest commodities report. That’s because tin plays a role as an alloy addition in the lithium-ion batteries used to power EVs. In terms of supply, there is still some uncertainty about Indonesian production due to government restrictions. Tin output from Myanmar and China, the top tin-producing country, is forecast to slow due to environmental regulations. “All said, weakening supply levels paired with relatively stable demand will put more pressure on prices in the medium term,” the FocusEconomics analysts commented. For the rest of the year, panelists surveyed by FocusEconomics agree that tin prices will experience a moderate pickup in the coming months. As a whole, the panelists see tin remaining broadly stable this year, averaging $20,263 for Q4 2017. Standard Chartered (LSE:STAN) is the most bullish, with a price forecast of $21,500 for the quarter, while Societe Generale (EPA:GLE) is on the bearish end of the spectrum with a call for $19,720.